Say you’re a Midwestern farmer in a hospital bed, recovering from surgery or a major illness. It’s time for the nurse’s check-in, but there’s no knock on the door. At Mercy Hospital in St. Louis, a camera attached to the wall over the foot of the bed whirls around, as a video monitor next to the camera lights up to show a smiling face with a headset on. It’s a little hard to shake the Jetsons vibe in this telemedicine training exercise, but this kind of health care isn’t just futuristic; it’s happening now and expanding. 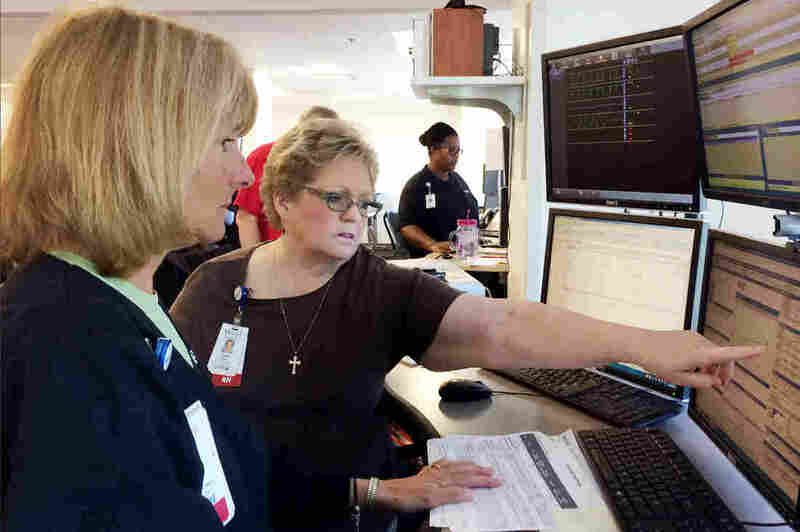 On Oct. 6, Mercy Hospital will open its new telemedicine mothership. The idea isn’t so much to keep closer track of patients at the St. Louis hospital, as to treat thousands of patients spread across five states. The new facility will offer an increasing number of patients in remote parts of the rural Midwest and South the sort of detailed health monitoring offered at large, well-staffed hospitals in cities and suburbs, says Tom Hale, the executive medical director of Mercy Virtual. He says the quality of telemedicine can be high, and it’s cheaper than in-person care. Hale and his team now largely provide care for patients in rural areas, but the use of their system may soon extend quickly to a different group of patients: baby boomers anywhere who want to stay in their homes instead of moving to a nursing facility when their need for health care increases. Industry analyst Sarah Turk of IBISWorld says that expanding population could propel telemedicine to a $3.5 billion industry by 2020. Still, the telemedicine boom faces some big challenges, she says. Many insurance companies have been slow to pay for these services. Medicare, the largest health insurer for Americans over 65, is a financial powerhouse; insurance companies often follow Medicare’s lead in determining which treatments and procedures they’ll cover. Right now, Medicare only covers the use of telemedicine in rural or medically underserved areas, and only when video conferencing is used. But telemedicine has broadened as the technology has developed. Now that doctors and nurses could use a smartphone app to, say, monitor their patient’s falls in the home, insurance companies and Medicare need to rethink their payment criteria, proponents say. But Dr. Ashish Jha, a health policy analyst and professor at the Harvard T.H. Chan School of Public Health, says insurance companies have good reason to hesitate and be skeptical. Nonetheless, executives at Mercy Hospital are betting that expanding their use of telemedicine will be a good deal. With its new facility, the hospital can monitor nearly 7,500 acute-care beds in five states, and the plan is to keep expanding. This story is part of NPR’s reporting partnership with KCUR and Kaiser Health News.